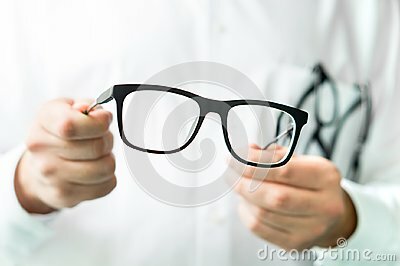 Optician holding glasses. Eye doctor showing new lenses. Optician holding glasses. Eye doctor showing new lenses. Professional optometrist in white coat.